Teacups and Mudpies $30 #Giveaway (Preparing For Baby) CLOSED! Getting ready for a new baby can be so much fun! Whether it is for your own baby or for someone you know, shopping for baby clothes is one of those times that you can get lost awing over all of the cute and absolutely adorable items you can find!! I find that just looking at baby stuff can brighten my mood, baby clothes for both baby boys and baby girls are just way too cute. You almost feel like a kid playing dress up with your baby dolls. I love shopping for baby items both in store and online. I find that online I can find a vaster collection of items, that I might not be able to find in any stores. With babies, you dont have to take them to try on the clothes, you just go by age and or weight. 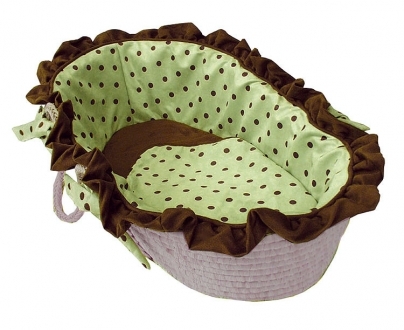 One online site for baby items that I find to be a very adorable site is Teacups and Mudpies. They dont just carry baby items, they also carry toddler clothing for both boys and girls, toys, bedding, furniture, gifts, and great items for a mom to be as well!! I love that I can shop over at Teacups and Mudpies for babies and for my toddler!! I also love the $5.95 flat rate shipping they offer!! The wonderful people over at Teacups and Mudpies would like to give one of my amazing readers a $30 gift certificate to use at their online store!! Like Teacups and Mudpies on Facebook! Please leave me your email with this entry!! This giveaway is open to US residents. This giveaway will end at 11:59 pm on December 23,2011. Winner will be chosen at random.org and will be given 48 hours before another winner will be chosen. All products for reviews and giveaways are given as a sample from the companies. All opinions in reviews I conduct are my own. I was not paid to say anything or review any products. Next Post NoJo Baby Bedding Set #Giveaway (Preparing For Baby) CLOSED! LIKE sponsor on FB Lisa W.
I Liked them on FB. fairyjuliet @ hotmail. I LIKE Teacups & Mudpies (HollyCunningham) on FB ((1955nursehjc4me(at)myway(dot)com)) Such adorable "stuff" there!!! And I LIKE your FB page (HollyCunningham) as well!!! I follow YOU on FB (HollyCunningham) on Facebook as well…. Also entered yr Community Coffee giveaway – thanks so much for ALL these great giveaways, you ROCK!! !